By now, you may have heard the news that Royal Caribbean is raising the automatic gratuity amounts aboard its ships. 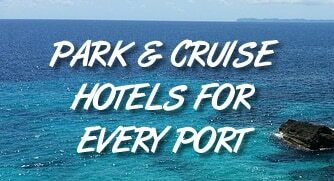 Starting on January 2, 2018 the cruise line will charge passengers $14.50 per person, per day in gratuities, and $17.50 per person, per day for guests staying in suites. The new amounts represent an increase of $1.00 from the current rates. Automatic gratuities are charged to your account at the end of a trip. It’s meant to be a convenience over the old method where passengers used to put cash in envelopes and give it to the staff at the end of the cruise. It’s important to keep in mind that these rates can be adjusted if a guest chooses to do so. However, many people simply tip the automatic amount. At first glance, a $1.00 increase doesn’t sound like much. Unfortunately, you’ll pay much more over the length of your cruise. Remember, the $14.50 is for each person, each day. So for a family of four taking a 7-day cruise, that means charges of $58 per day, and $406 for the entire cruise. That’s an increase over the previous amount of $378. What has some people upset is that this is the third increase in three years for daily gratuities on Royal Caribbean. In 2015 the cruise line raised the rate from $12 to $12.95. In 2016, the rate was increased from $12.95 to $13.50. In other words, the cruise line has increased the daily rate $2.50 in less than three years. That means a family of four on a week-long cruise is now paying $70 more in gratuities. While Royal Caribbean says the new rate is based on industry standards, it’s actually higher than most competitors. Currently Carnival charges $12.95 per day. Norwegian Cruise Lines charges $13.99 per day. Disney, a cruise line known for its service, suggests $12.00 per day. MSC Cruises charges $12.00 per adult and $6.00 per child over three years old. How do you feel about the new rate? Will it change your choice of cruise line?